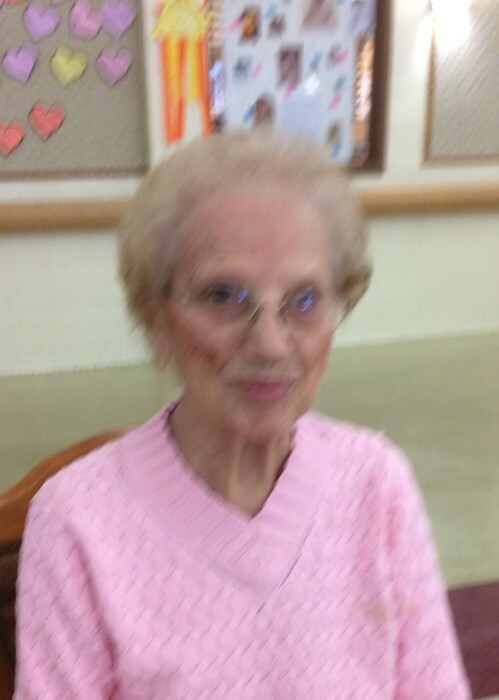 Frances Theresa D’Agostin, 102, of Rockford passed away Saturday, March 30, 2019. Born February 14, 1917 in Rockford to Joseph and Patrina (Giametta) Pirrello. Owner and operator of Auto Inn for many, many years. A member of the St. Ambrogio Society. Frances enjoyed cooking, loved playing bocce ball, gardening, fishing, but most of all enjoyed spending time with family and friends. Survivors include children, Barbara D’Agostin, Jerry (Kathie) D’Agostin, Dave (Karen) D’Agostin; grandchildren, Victor (Marie) A. Olszewski, Michael (Tammy) D’Agostin, Joseph (Jessica) D’Agostin, Sunny (John) Gaudiano, Spencer (Nicole) D’Agostin, Taylor (Marlena) D’Agostin; great grandchildren, Rachel (Bryan) Johnson, Adam Olszewski, Stephanie (Ryan) Reed, Joey D’Agostin, Zoe D’Agostin, Rocky Gaudiano; Rizzie Reed, Nicolette Reed, Devon Harris, Maxwell Harris, Abby D’Agostin, Garrett D’Agostin, Gavin D’Agostin, and one on the way, Oliver D’Agostin. Predeceased by husband Ferdinand; granddaughter, Catherine Olszewski-Harris; 5 brothers; 3 sisters; son-in-law, Victor Olszewski; sister-in-law, Olga Pro; brother-in-law, Ray Pro; and dear friend, Carmella Cason. Special thanks to her caretaker, Shirley Oberg, Mercyhealth Hospice and River Bluff Nursing Home. Mass of Christian Burial will be held at 11:00 a.m. Thursday, April 4, 2019 in St. Anthony of Padua Catholic Church, 1010 Ferguson Street, Rockford with a visitation from 9:00 a.m. until time of mass. Memorials may be given to the family or to Mercyhealth Hospice.